Sort of a mid-week quick graph…I’ve been compiling data for a different project and curiosity got the best of me to see what the spread in team shooting percentages was in NHL history. 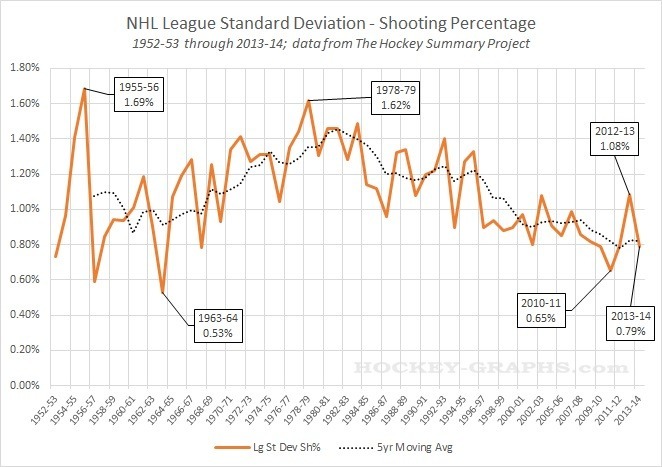 We all know that shooting percentage in the NHL went up substantially during the 1980s, but what you’re seeing above is one of the reasons why we theorize that shot quality and team shooting talent might have figured more greatly in outcomes in the 1980s than it does today. With some exceptions, the standard deviation seems to have settled from about 1996-97 to the present at just under 1%, which suggests our expectations from one year to the next should only allow a team that much of a bump above or below league-average. It’s worth noting that sample will affect this measure, hence why our line is so spiky during the Original Six era, and why 1994-95 and 2012-13 might have not been as characteristic of a trend. 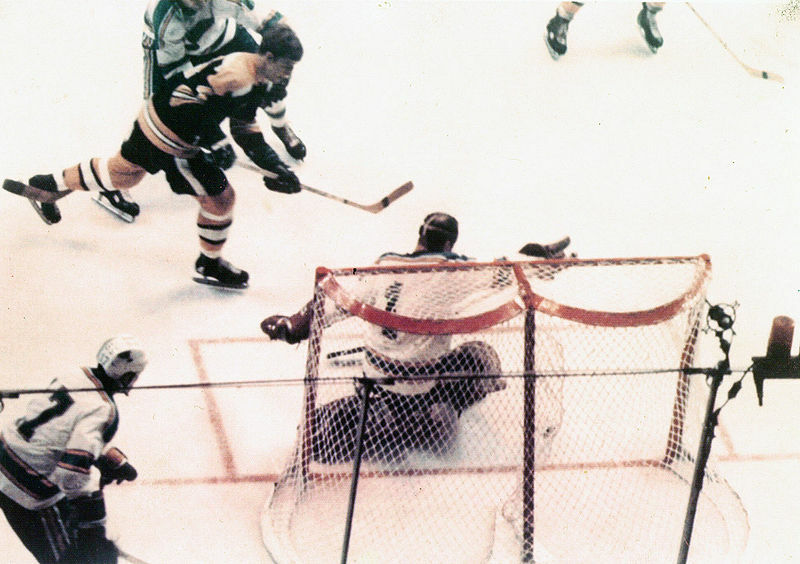 Incidentally, this is shooting percentage for all situations.